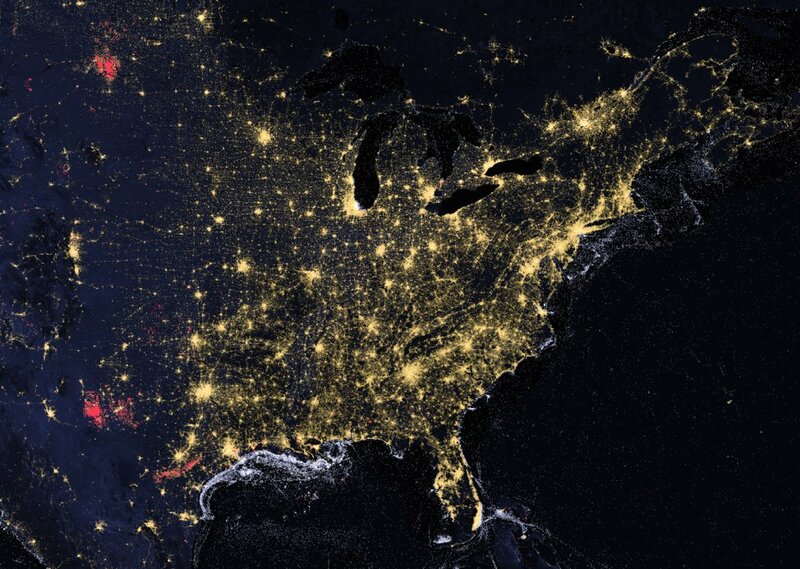 The view from space of the nighttime lights on Earth is one of the most iconic images of humanity’s presence. But more than just a pretty picture, these and other nocturnal radiant emissions are increasingly being used for scientific and public policy applications. The Payne Institute for Public Policy at Colorado School of Mines is establishing a new research group dedicated to the development of data products that use satellite imaging to provide valuable insights on gas flaring and volcanic activity, illegal fishing, power outages and electrification, geomagnetism and more. Leading the new Payne Institute Earth Observation Group will be Chris Elvidge, of NOAA’s National Centers for Environmental Information, a pioneer in the development of satellite detection now used by a diverse range of fields including biology, urban sciences, economics and astronomy. Elvidge and his team will use the NASA/NOAA Visible Infrared Imaging Radiometer Suite (VIIRS) to conduct their work, which will then be processed using various big data and machine learning techniques. In addition to continuing the algorithm development, product generation and user support functions, the group will also engage with researchers across Mines and provide a new resource for students. Among the data products that Elvidge and his team already provide is the most comprehensive listing of gas flares worldwide, with flared gas estimates for individual sites; infrared emissions from active volcanoes, with temperature and source area estimates for volcanic sites worldwide; an automatic system for detecting lit fishing boats and for issuing alerts in certain marine protected areas; and satellite detection of power outages, an approach that could also rate the success and longevity of benefits from electrification projects. "The Earth Observation Group is thrilled to be moving to join the Payne Institute,” Elvidge said. “Already, data is being made public via the Mines High Performance Computing Center. We look forward to growing the group and continuing to put out our unique global satellite data on lights, boats, fires and flares." Named in honor of longtime energy executive Jim Payne '59 and his wife, Arlene, in recognition of their $5 million investment in 2015, the Payne Institute conducts cutting-edge quantitative policy analysis and educates current and future leaders on the security, governance and policy challenges presented by the rapid changes being witnessed in the energy, environment and natural resource sectors.